Pet Centre’s, Dairy Farms, Stables, Kennels, Catteries, Veterinary Practices and even Horse Boxes are just some of the areas where we have received enquiries on slip resistant flooring required where animals are involved. Following on from another recent enquiry, we thought we would share some of our recommendations with you. Below we will discuss some of the products available to create an anti-slip floor, whilst also bearing the health and well-being of the animals in mind. A Dog Day Care Centre recently contacted Promain with a rather troublesome issue with their Polymax flooring. Although the floor looked impressive, it was not conducive to a safe, calming area for the dogs or their owners. Within the first 3 months numerous dogs, and a handful of people had slipped on the newly laid floor. After discussing the issue with the Promain Technical Team, we suggested a possible solution to the problem. Promain suggested using Protecta-Kote Safekote Anti Slip Floor Paint. Safekote is fast drying and contains small pieces of rubber, ideal for little paws! As this is available in a clear finish (as well as a variety of other colours) the customer would be able to maintain the overall look of the floor whilst still achieving their target of slip resistance. The gloss of vinyl can cause problems with adhesion. To overcome this we suggest you roughen the surface with P600 grit sandpaper. Once sanded, remove any dust and debris and then clean the surface with Xylene. Next, apply a clear urethane primer such as Protecta-Kote Clear Primer. Once you have completed this preparation work, the Safekote can be applied. Following these steps should leave you with a nice slip resistant surface. However, we do recommend that you test a trial patch first. The outcome of the adhesion will depend strongly on the preparation. For many people and businesses, a slip resistant floor alone is not sufficient. Hygiene can also be imperative and needs to be taken into consideration when deciding on which paint for your floor. 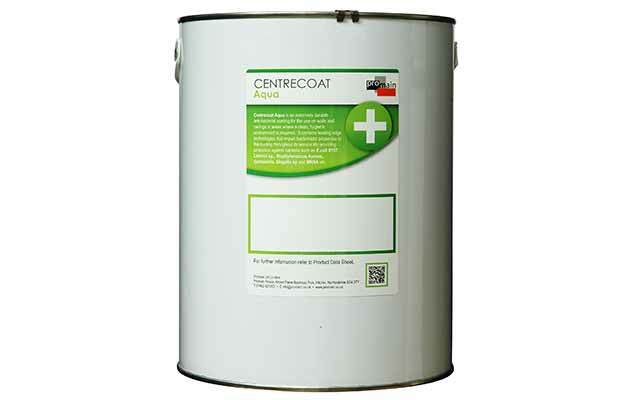 Centrecoat Ultra Hygiene Coating is a durable and abrasive resistant anti-bacterial coating for use on walls and floors in areas where bacteria control is essential. Offering protection against E.coli 0157, Listeria sp., Staphylococcus aureus, Salmonella, Shigella sp. and MRSA it is ideal for use in kennels, catteries and veterinary practices amongst others. This two pack system is ISO 22196 approved, virtually odourless and solvent free, making it the perfect choice for areas where hygiene is of the utmost importance. Available in a range of standard colours, this product can also be tinted to almost any colour of your choice! How Do You Make Ultra Hygiene Coating Slip Resistant? The hygienic paint can easily be made slip resistant for flooring by simply adding Anti-Slip Aggregate. We would recommend using medium grade Centrecoat Anti Slip Aggregate. 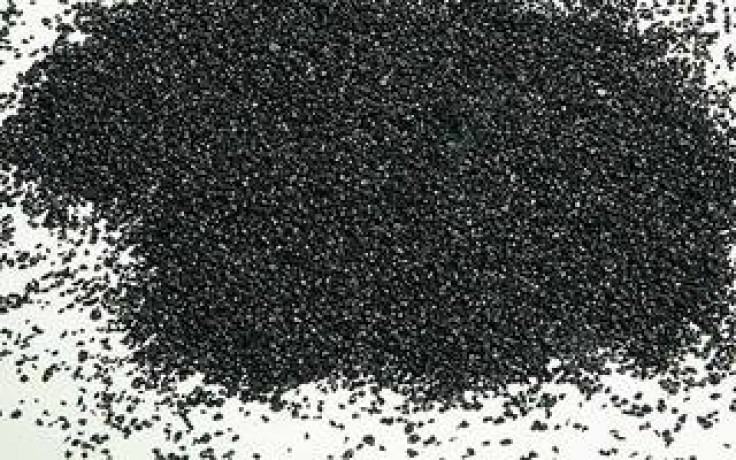 The aggregate can be added to the paint before application, or alternatively it can be hand cast to the applied coating. Protecta-Kote Rubber Anti-Slip Paint provides an excellent protective finish that resists rust, most chemicals and stone damage. 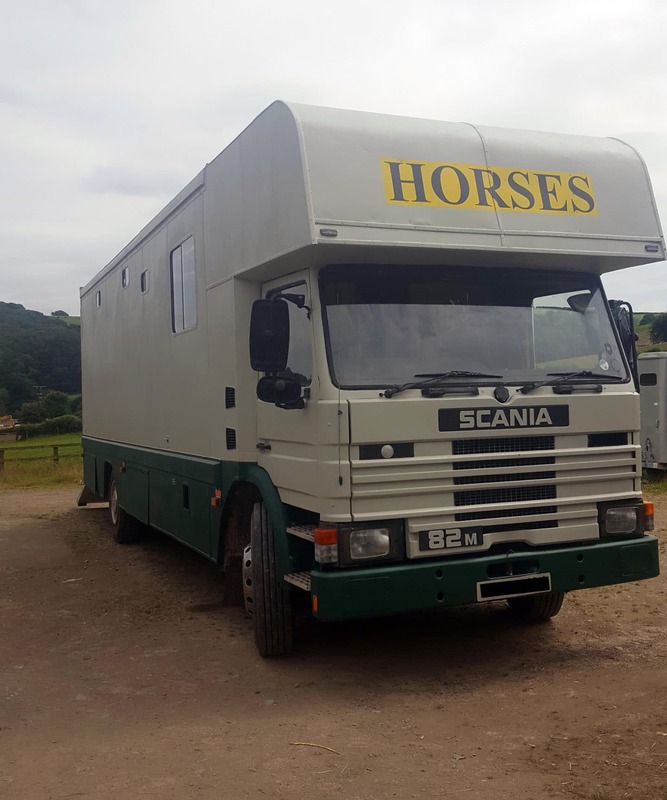 With slightly larger pieces of rubber than in Safekote, it is ideal for slip prevention in horse boxes. Once fully cured there is no danger to the animals. 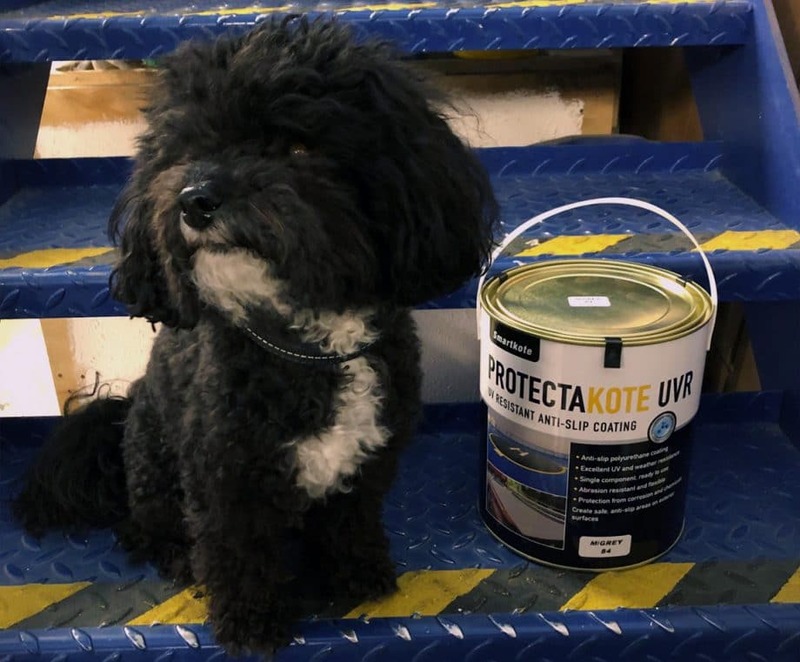 Available in a variety of colours, Protecta-Kote comes in either 1 litre or 4 litre tins and is easily applied using either a brush, foam roller or spray gun. If applying to concrete you will need to use the Duraprime Water based epoxy primer, prior to applying the Safekote. If applying to Metal, you will need to use the Protecta-Kote NS5 Metcote Etch Primer. 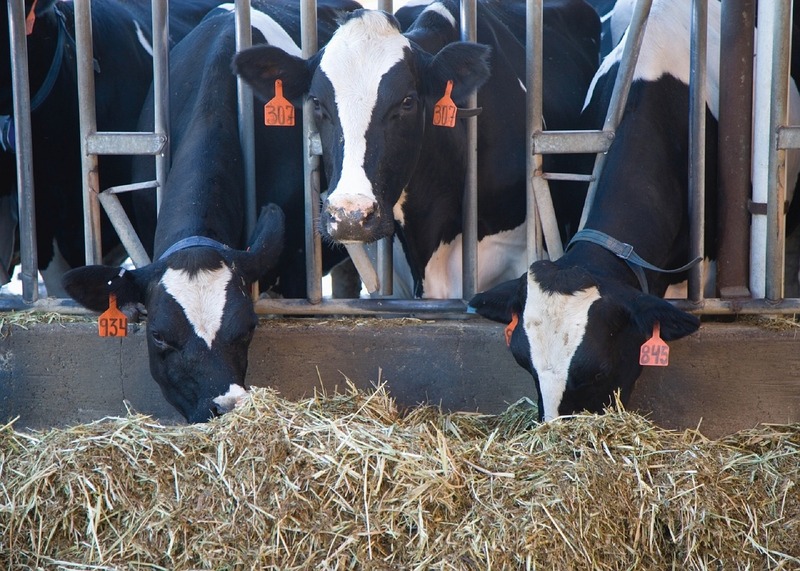 Dairy Farms are another area where a slip resistant floor is essential. Floors can tend to be slippery particularly due to waste. Farmers can lay concrete with a texture to improve adhesion, however, although this texture can initially seem to be a solution, it does have it’s own pitfalls. Abrasive Floors can quickly erode cow’s hooves, leading to health issues such as sole ulcer and white-line disease. As most dairy farms have existing barns, farmers that contact our technical team wish to improve herd comfort and ease of maintenance with a paint coating. After research with manufacturers chemists, Promain’s technical team would like to suggest chlorinated rubber paints such as Teamac’s Chlorvar. There are priorities that need to be considered when choosing a coating for use on concrete floors in a dairy. These include a high resistance to chemical cleaners, strong durability to severe corrosive environments and a long life expectancy. Chlorinated rubber coatings tend to be known for their use on swimming pool floors and walls. However, they are also ideally suited for painting dairy farm concrete floors. 2 – Grit or sand blast floors to remove any existing coatings. This will also make any concrete porous so the paint will absorb into it. 3 – Ensure the surface is dust free and completely dry prior to painting. 3 – Ensure the surface is sound, dust free and completely dry prior to painting.